You will generally know when your child is ready to attend a sleepover camp. Every child’s temperament is different, so their age should not be the determining factor. “Parents should look at their child’s attitude toward being away from home as well as their child’s personality factors,” says Frank Sileo, Ph.D., author of Bug Bites and Campfires: A Story for Kids about Homesickness. Just because you went to a specific camp as a child does not mean that camp type will be a good fit for your child. You need to evaluate whether the camp will meet your child’s disposition, talents, and/or interests. You should never force your child to attend a camp they don’t want to. There are various camp locator organizations such as the Alberta Camping Association, albertacamping.com, where you can research a variety of accredited sleepover camps. Ask extended family and friends if they have any recommendations on a great sleep-away camp. You can also research local resources like family magazines (like this one, which has a comprehensive online Summer Camp & Program Guide), church organizations, and parks and recreation offices in your community. with the choice. What special interests does your child have? Explore different camp websites, pamphlets, and brochures with your child. Have discussions with your child about what their goals are for camp. What do they want to do and get out of camp? “When children are involved, even in a small way in the decision-making process, they will experience increased feelings of control,” says Sileo. They will be more comfortable with the final decision. the camp director to get a feel for the camp culture. “Visit the camp and look for cleanliness of facilities and interaction with a child. Find out how the staff is selected and what criteria is used,” advises Jerry Huncosky, President and CEO of Frost Valley YMCA. It is common for most kids to experience homesickness at some time during their camp stay. Before camp, talk with your kid and let them know that it’s okay to miss home and the family. “Children often feel they are the only ones experiencing a negative feeling,” says Sileo. This gives them permission and helps the adjustment. that they have not experienced before, like finding a flashlight at night to run to the bathroom or asking their counselor for help. When parents provide simple life applications, kids will become more confident to handle new situations. Going to camp with a friend has pros and cons. Attending camp with a friend may help a shyer child take the step of going on a sleepover. However, your child may cling to their friend and not explore all the opportunities at camp if they’re with a buddy. at camp; how they’ll learn new crafts and play new games. “Your confidence in a positive experience will be contagious,” says Peg Smith, past CEO of the American Camp Association. when they were ‘young.’ Tell your child stories about your positive camp experience and what you learned at camp. You can also share about the independence your child will gain by staying at a camp. “Families can also encourage healthy separation like overnight visits with family and friends throughout the year,” suggests Smith. 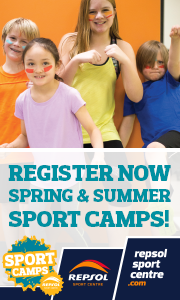 Do involve your child in choosing a camp. Do understand the camp’s philosophy on how issues, like homesickness, are addressed. Talk candidly with the camp director to understand their perspective on your child’s adjustment. Do discuss what camp will be like before your child leaves for camp. Do send a note or care package ahead of time to arrive the first day of camp. of homesickness will pass in a day or two, approximately 7 per cent of the cases are severe. If your child is not eating or sleeping because of anxiety or depression, work with the camp director and other camp staff to evaluate the situation. Don’t make your child feel like a failure if their stay at camp is cut short. Focus on the positive and encourage your child to try camp again next year. Jan has five children who have all gone to sleep-away camp. Reprinted by permission of the American Camp Association from Calgary’s Child Magazine, Issue 97.